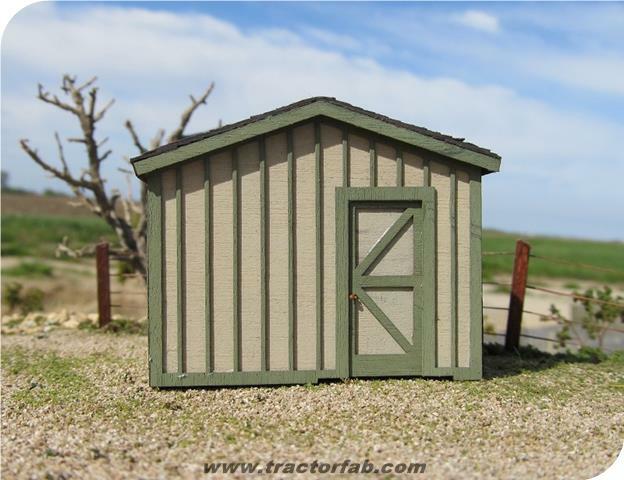 Laser Cut 1/64 storage shed. Walls are board and batten style. 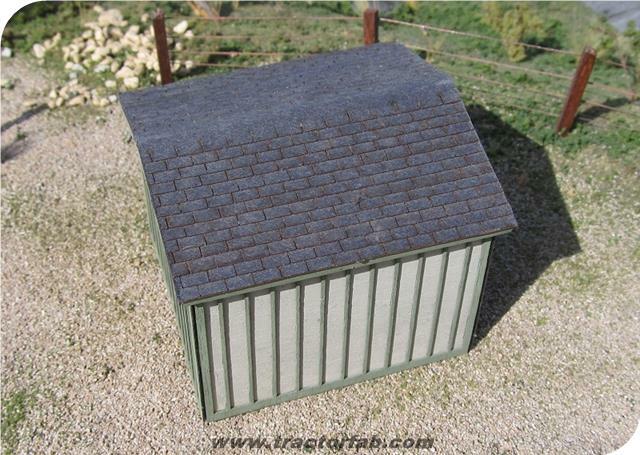 Includes "ashphault" shingle roof.